The aviation sector is expanding at a phenomenal rate and by 2036 it is expected that 7.8 billion passengers will travel by air, according to forecasts published by the International Air Transport Association. Aviation has become essential to our society, acting as a driver of economic, social and cultural development worldwide. 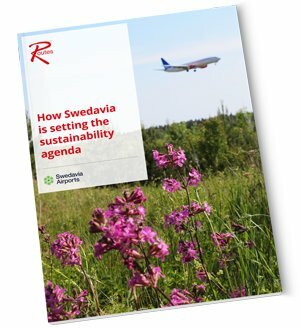 Although the benefits of air travel are clear, the industry faces major challenges of balancing this strong growth with pressures to manage its impacts on people and the environment. The sector widely acknowledges that it contributes to climate change and therefore requires all stakeholders to work together and implement environmental policies to enable and promote sustainable and eco-efficient air travel.